FALK - the first chair in the world to be made from post-consumer plastic - directly from Danish household waste! The lightweight frame and the organic lines of the seat result in a chair with personality and a silhouette that almost seems to float. The flexible back, following the body combines outstanding seating comfort with a form that is both soft and inviting. 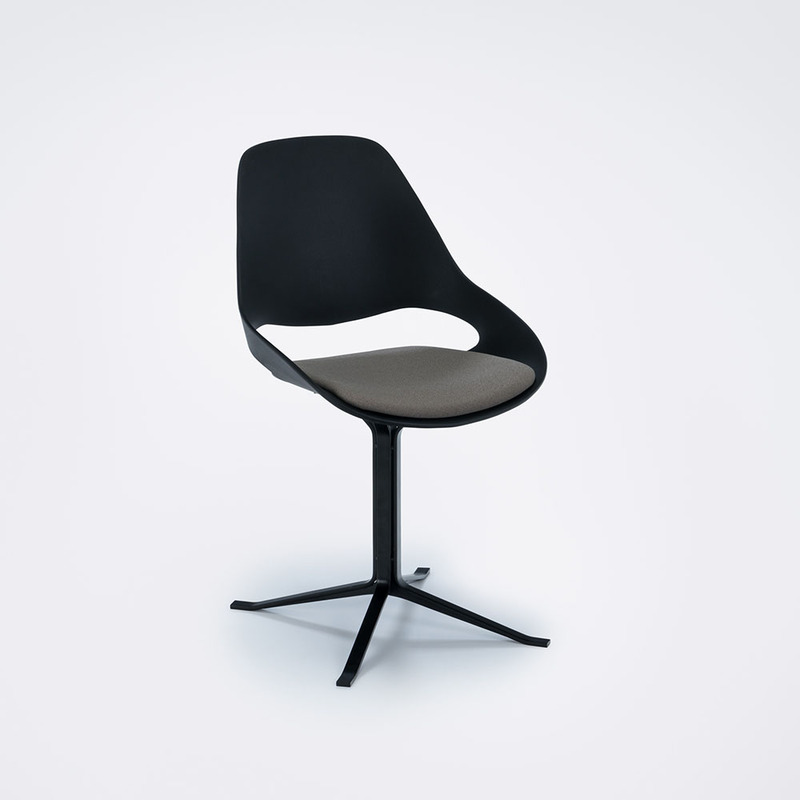 FALK is available in black and warm grey with either a center column leg or a 4-leg construction. Padded seat available in 4 colors: Amber, Dark Olive, Carbon grey and Warm clay. Design, comfort, quality and classic appearance make FALK equally suitable at home or at work.